There’s no doubt we live in a pet-crazy world, and chances are many rental applicants are hoping to keep one in your property. In most cases you do not have to allow pets. But being pet-friendly can increase your pool of qualified rental applicants and improve tenant retention. 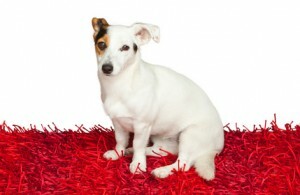 Look at flooring alternatives to carpeting. Consider linoleum, ceramic, or other flooring that is solid, sealed and easily cleaned. Use washable oil or acrylic paints on the walls. Avoid wallpaper, cork or other absorbent materials. Provide well-sealed garbage containers for animal waste to limit the smell and reduce the risk that animal feces (especially from cats) pose to pregnant women. Think about installing high-efficiency filters on forced air ventilation in the common areas for better ventilation. Check and clean ventilation systems in high-humidity environments (ex: those with fish tanks) because mould often grows in the ventilation system. Have your air systems cleaned when a tenant leaves. A wet clean will allow allergic tenants to be comfortable in an apartment that had pets.